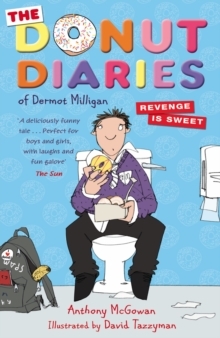 A British Diary of a Wimpy Kid, featuring Dermot, an overweight eleven-year-old. Hilariously funny and insightful. 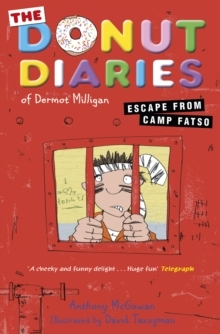 Dermot Milligan's got problems. He's overweight and hooked on donuts. He has a pushy, over-achieving mother, and a father who spends all his time hiding in the loo. His sisters, Ruby and Ella (known as Rubella) attack him relentlessly from the opposite directions of Chav and Goth. And now, he's being sent to a nutritionist, Doctor Morlock, who looks like a Dementor from Harry Potter and the Deathly Hallows. This diary is Doc Morlock's idea. 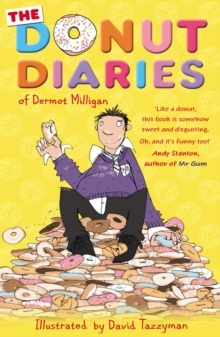 Not only does Dermot have to write down how many donuts he eats, but also - and this is the really rubbish part - he has to talk about HIS FEELINGS! But things are about to get even worse - he's being separated from his friends and sent to St Michael's, a posh school where he just knows he's going to stick out like a sore thumb. A sore thumb with a weight problem . . .